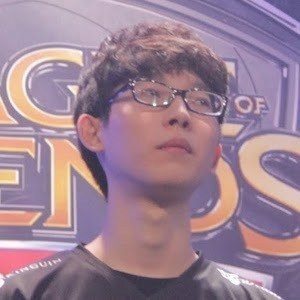 Professional League of Legends jungler who is known by his gamertag Reignover. He has gained popularity for his career with the famed eSports organizations Fnatic and Immortals. He began his professional League of Legends career as a member of Team Incredible Miracle. He made his first team change in June 2013 to Team Incredible Miracle 2. In August 2015, he earned a 1st place finish at the 2015 EU LCS Summer Playoffs as a member of Team Fnatic. His first win as a member of Team Immortals came in April 2016 at the NA LCS Spring Playoffs. He was born and raised in South Korea. He has gamed alongside Heo Seung-hoon while he was a member of Team Fnatic.